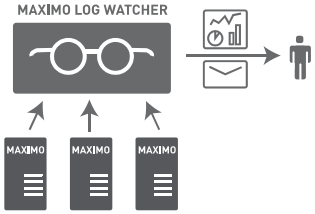 Log Watcher monitors important Maximo log files, storing results or errors in a new Maximo Log table so that you can review results within a Maximo Log Watcher application or receive configurable email alerts for errors, events, and trends. Customizable alerts and trending from important data buried in various Maximo log files. Immediate email alerts for critical errors in Maximo’s SystemOut or SytemErr logs. 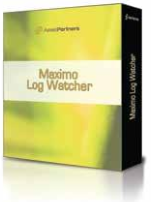 Monitoring of Maximo’s PM Generation log to report on PM generation failures to the appropriate manager or planner. Create custom alerts for any status or error code. Easily confirm a Maximo instance is started, stopped, or in Admin Mode. Supports monitoring of multiple Maximo clustered servers and JVM’s. Track instance metrics such as concurrent logged-in sessions or memory user per instance over time. No more searching through cryptic logs, hoping to spot problems or errors. No more worrying that performance warning are being logged but going unnoticed until it is too late. Install and configure in minutes.